Chartered Accountancy syllabus 2016: ICAI is going to introduce new syllabus for ca course in 2016. Although new syllabus is introduced in 2016 the old syllabus also continued for the next five years. After that gradually shifted to the new syllabus only. 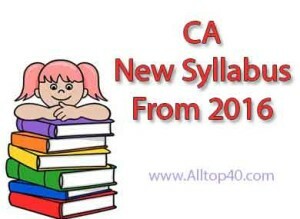 New CA syllabus is applicable to CPT, IPCC and Final also. On Aug. 26th, 2014 ICAI released a notification about ca new syllabus 2016. You can see the ca final syllabus change notification in the ICAI website. ICAI is also inviting suggestions from the students about ca new syllabus 2016. You can send your suggestion regarding the ca syllabus change 2016 to the mail id [email protected]. Suggestions will be accepted from 12th to 28th Feb.
Below are the changes in the Foundation, IPCC & Final. Changed the name from CPT to Foundation. Cost Accounting & Financial Management to be two different subjects from now. Intermediate course duration increased from 9 to 12 months. Information Technology & Strategic Management is removed. Capital Markets & Financial Services subjects are introduced. Information Systems & Control Audit is removed. 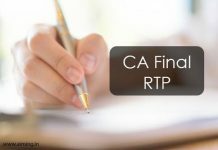 Completion of the full period of article ship is required to eligible for ca final. Form 2016 new syllabus CA CPT course will be called as CA Foundation course. Examinations will be held during May and November months. Duration of C A Intermediate course is increased from 9 months to 12 months. New subjects introduced are capital markets and financial services. who completed the full period of article ship are eligible to appear C.A Final. Information systems control & Audit were proposed to be removed in the previous draft but reintroduced in the revised draft. Sir, maine 2013 me ipcc me registration kiya tha. Lekin meri kuch personal problems ki bajahse mai abhi tak exam nahi de paya hu. And mai nov 2016 me exam dena chahta hu . So mereliye new syllabus apply hoga ya old syllabus. sir, I hav registered for cpt last year October. but now even if the syllabus has changed did I want to follow the old pattern or new one. pls help me through it. I ve bought books also. 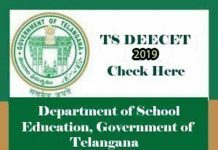 usually after notifing new syllabus also u can opt for old syllabus..it is restricted to some 4 or 5 attempts..after that old syllabus would no more exist…then u need to convert into new syllabus mandatorily…. Sir will the changes be applicable to all those students who are registered in November 2014 for ipcc or they required to follow the old pattern? sir, maine 2014 november me ipcc me registration kiya tha. ek attempt bhi diya thi, phir mere health issues ki wajahse maine break leliya. abhi mai may 2016 ko attempt dena chahti hoo. mere liye kaunsa syllabus applicable hoga. please suggest me as soon as possible. thank you sir. Sir, I have completed Bsc computer science in the year 2014. I am perfect in accountancy and want join in C.A Course. can its better for Me. I need help how can I register? Do u think accounts is the only subject seriously! check syllabus first then check pass percentage after that decide whether to take care or not? sir main 2014 mein cpt registeration krwaya tha mere liye bhi new syllabus applicable hoga. I appeared in CPT exam in 2014. But I could not clear it. Now I wanted to appear in 2016 exam. But as the syllabus is changed. ..so which syllabus will I appear for? The new one or the old one? Sir, my sister is applying for CPT in June 2016.. we have registered few days back. but we haven’t collected books till now. which syllabus shall be applicable for June attempt? which syllabus will be applicable to me when the registration was done in May 2016. Sir, I have filled the form for CPT December 2016 then which syllabus shall be applicable for December attempt? sir, I am a b.sc cs student but I wanted to study chartered accountancy because in12th I took arts group so I know accountancy so plz tell me how to register. plz can u update syllabus for old registration guys for IPCC Nov 2016. Sir, I have filled the form for CPT dec 2016 then which syllabus shall be applicable for December attempt? I’m a xii student .. just passing of the year 2016. My overall percentage 71%. But my combination is mathematics, economics, modern computer application, and geography. So can I decide on chartered account course. pls tell me, how can it is a possible? I am a class 11th student . sir may I pkz know that if I register for cpt now for which course exam I would be eligible..foundation or cpt??? i took medicine course bt dint get success …Can i take ca course now ..Wil i be able to compete with tht ?? 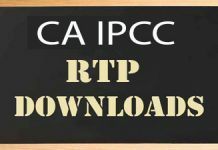 Sir, i have registered in IPCC for July 2016 with direct entry scheme. Which syllabus is applicable to me? Sir I have cleared my IPCC group 1 and was registered in IPCC in 2011 after that some family issues and then I got married so could not give exams and now going to give in November 2016. Please tell me which syllabus to follow old or new. Please reply sir. Have registered myself to ipcc on 28 June 2016 for ipcc. Will be giving my first ipcc attempt in nov 2017, which syllabus will i have to study/which syllabus will be applicable to me, have received my study material for the existing scheme, Please do reply.